With a string of hits to his credit -- including Top 10 hit "Stealing Cinderella" and Top 20 hit "All I Ever Wanted" -- Chuck Wicks has certainly made an impact in his brief career. Read on here to learn more about the talented tenor's brand new EP and upcoming single "Salt Life." The first single from Rough will be the new summertime smash “Salt Life,” which he penned with Mike Mobley and Vicky McGehee. In celebration of the release, over 20,000 Wicks fans will receive a complimentary copy of the EP through select Salt Life retailers with their purchase of Salt Life branded products. 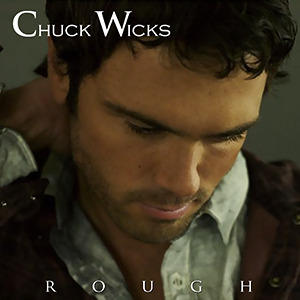 Rough will be available for purchasing on Tuesday, April 9, available through iTunes and ChuckWicks.com. Fans have the chance now to pre-order the project through iTunes for only $2.99.